You are currently browsing the category archive for the ‘Disney Features’ category. 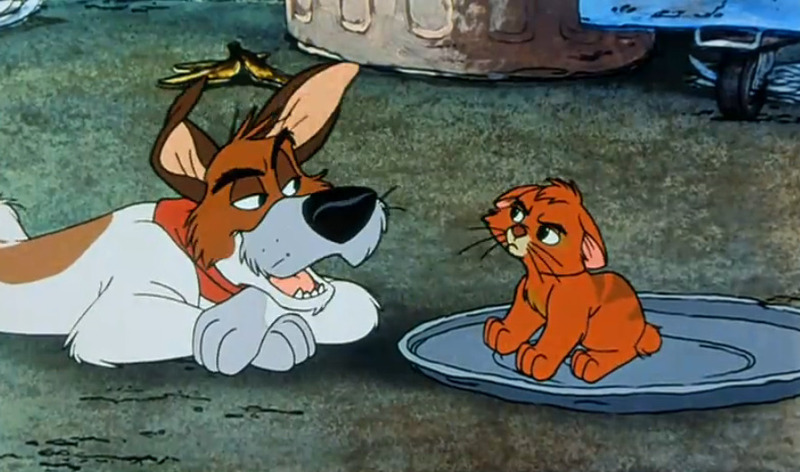 ‘The Fox and the Hound’ tells about a young adopted fox called Tod and a young hound dog called Copper, who become friends, but later enemies, partly due to their nature. 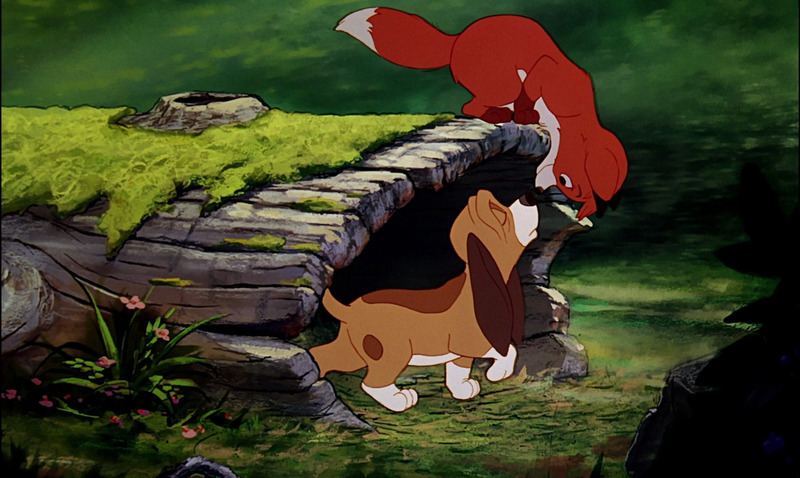 ‘The Fox and the Hound’ was the feature in which the last of the nine old men, Frank Thomas and Ollie Johnston, passed on their knowledge and their legacy to a younger generation of animators. In this respect it’s the most transitional film in Disney history. And unfortunately, it shows, because it’s neither an old classic, nor does it have the spirit of a film by young Turks, despite most of the animation being nothing less than great. On the contrary, the end product is a tame, slow moving and rather tiresome movie more belonging to a time long past than to the 1980s, the decade in which it was made. 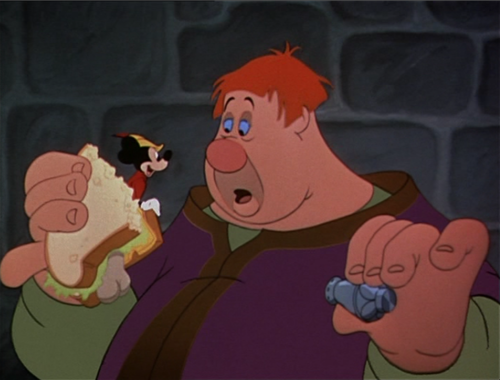 Its main flaws are in storytelling: none of the actions of the protagonists are very well motivated, the villains are hardly threatening and a lot of screen time is spent on the totally non-related antics of a sparrow called Dinky and a loony, rather annoying woodpecker called Boomer trying to catch a caterpillar. These birds, like the friendly old female owl Big Mama (voiced by black jazz singer Pearl Bailey), do nothing more than watching the main action. The songs do not propel the action forward, either, but tend to drag the film down. And in the scenes in which Tod tries to survive in the forest, it becomes very difficult to see him interact with birds and furry animals. How he’s going to survive in the forest without killing animals remains unexplained. 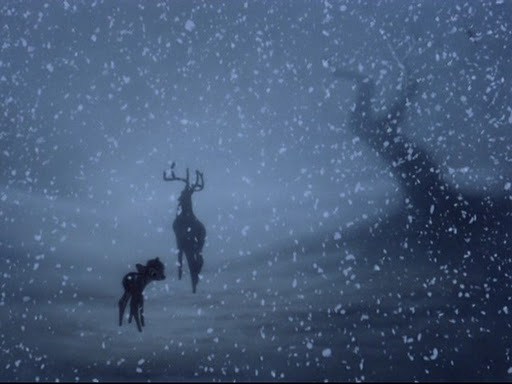 Finally, at the end of the film, a bear appears out of nowhere, like a deus ex machina, to be the sole reuniter of the two friends. In fact, the only appeal of ‘The Fox and the Hound’ lies in the quality of the animation itself, and in the film’s beautiful backgrounds. Because of its out-of-time setting the film can be regarded timeless, but a timeless classic it ain’t. Stitch is a genetic experiment (called ‘experiment 6-2-6’) designed to destroy, but sentenced into exile by an intergalactic councel. All too soon our fluffy little mutant escapes and he ends at the Hawaiian island of Kauai, where he befriends lonely little Lilo, who lives a difficult life with her older sister Nani after the death of their parents. 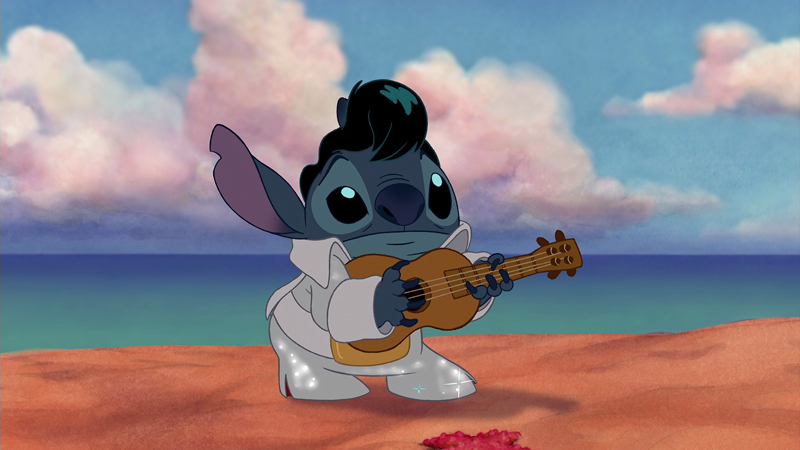 Here Stitch learns to tone down his inclination to destruction and how to love and care. ‘Lilo & Stitch’ is a very appealing film. Its designs, based on Chris Sanders’ idiosyncratic story drawings, are round, cuddly and original. Adding to the friendly atmosphere are the lush watercolor backgrounds, the first in a Disney feature since ‘Bambi‘ (1942). The animation is superb throughout, and Lilo, Stitch and Nani are round and instantly likable characters, who have nothing of the wisecracking arrogance of many other animated characters from the era. The film’s familiar family theme never gets cloying and is countered by a lot of humor. The result is a film full of love and joy. Probably, because it was made in Orlando, Florida, far from the main company, the film also eschews the rather tiresome Disney musical convention, and features an original soundtrack featuring Elvis Presley songs and Hawaiian chants, instead. True, the plot borrows freely from ‘Men in Black’ (1997), and the science fiction setting feels a little awkward in a Disney film, but the story of loneliness, love and acceptance is well-told, and equally appealing to the young and old. Moreover, the film proves that one can perfectly well make a good movie out of original and typical elements. A film maker like Hayao Miyazaki knows this, off course. 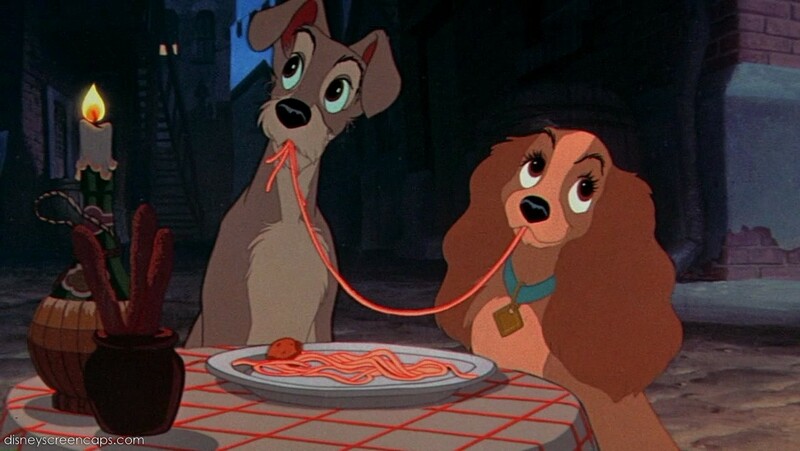 But unfortunately, this message has been lost on the American animation studios, as very few of the subsequent American feature films succeeded in displaying this level of originality in characterization, soundtrack and design. Thus ‘Lilo & Stitch’ remains as Disney’s best attempt at an ‘author film’ (not counting the almost forgotten ‘Teacher’s Pet’ from 2004). Unfortunately, ‘Lilo & Stitch’ seemed to be Disney’s last masterpiece of traditional animation. Even though it was followed by yet two other 2D animation features, it marked an end of an era lasting 65 years. 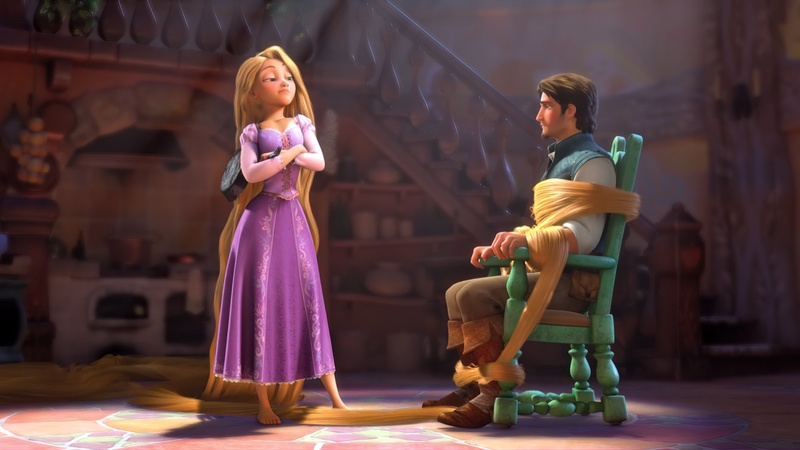 Disney soon jumped the computer animation band wagon with rather mediocre results, arguably only hitting their stride in 2010 with ‘Tangled‘. Luckily, in 2009 the studio made a surprising, but unfortunately isolated return to the traditional medium with the excellent ‘The Princess and the Frog’. ‘Robin Hood’ was Walt Disney studio’s 21st feature. The film’s story and designs lean heavily on the 1938 feature ‘The Adventures of Robin Hood’, starring Errol Flynn. But by now the characters are portrayed as animals, a relic of an abandoned feature film project about Reynard the fox called ‘Chanticleer’. This great idea doesn’t lead to a great film, however. 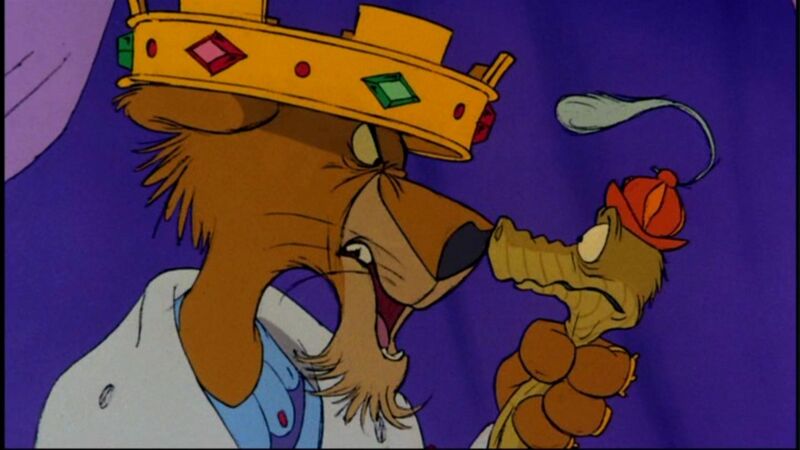 Despite the fine character designs, the strong voice cast and the often superb animation, Robin Hood must be placed among the weaker Disney features. Many of the character designs are so reminiscent of those in ‘Jungle Book’, the film almost feels like a rip-off. There’s a bear, voiced by Phil Harris, the voice of Baloo, there’s a snake with the power of hypnosis and there are some funny vultures. The story evolves at a remarkably slow pace, with some sort of plot only setting in after 29 minutes. More than any earlier Disney feature ‘Robin Hood’ seems particularly aimed at children: both great drama and great comedy are absent and danger is never really felt. The great finale is anything but that, and King Richard serves as an off-stage Deus ex machina, putting an equally welcomed as unsatisfying end to the film. The rather tinned music doesn’t help, either. 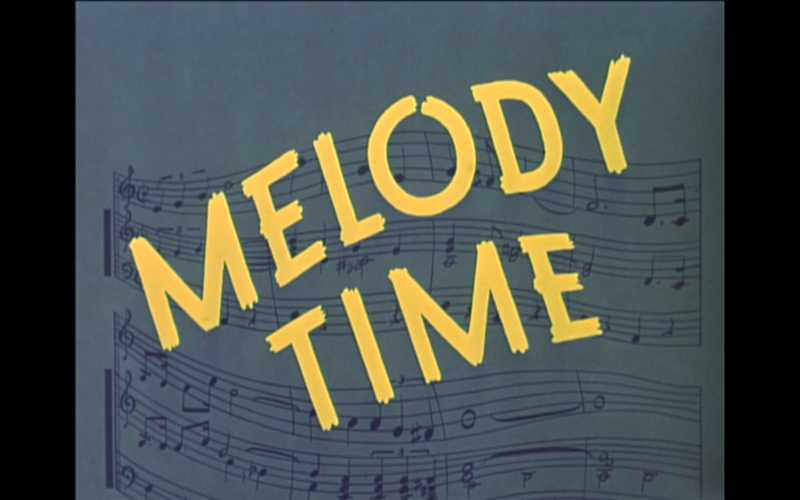 Even worse, the film’s three forgettable songs are all presented within a twelve minutes period of the film (0’46-0’58), and the dance scene blatantly reuses complete dance animation sequences from ‘Snow White and the seven dwarfs’ (1937), ‘Jungle Book’ (1967) and ‘Aristocats’ (1970). All these aspects give the film a cheap feel. 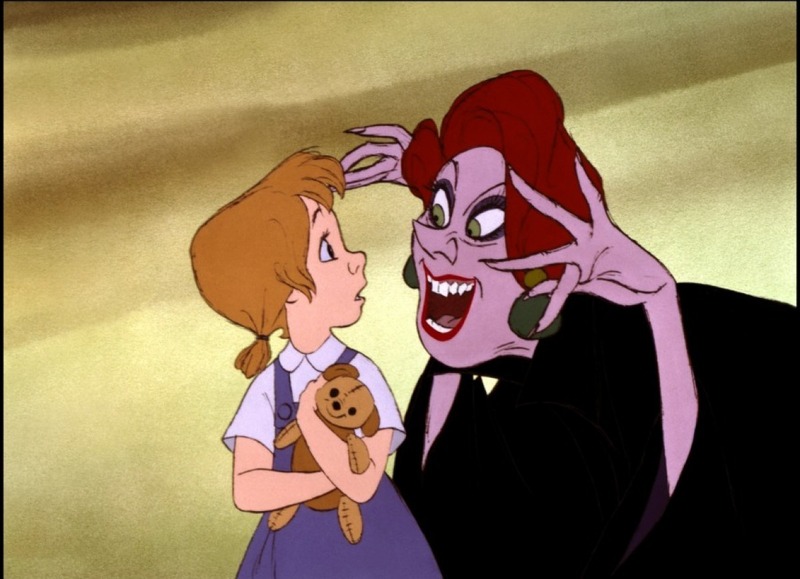 It frustrated younger animators like Don Bluth, who thought the film lacked both quality and soul, and it indirectly led to Bluth’s departure in 1979, during the production of ‘The Fox and the Hound‘ (1981). The film’s only real treat is King John. This is by all means a marvelous character, perfectly voiced by Peter Ustinov. Because of the film’s strong visuals (after all, it’s the only Robin Hood film starring foxes), the film fares better in memory than by actually watching it. In all, Robin Hood is a sad feature, which makes painfully clear that in the seventies Disney’s glory days lay years behind. Indeed, it would take the studio another fifteen years to crawl out of the uncertain times the studio went through after Walt Disney’s death. 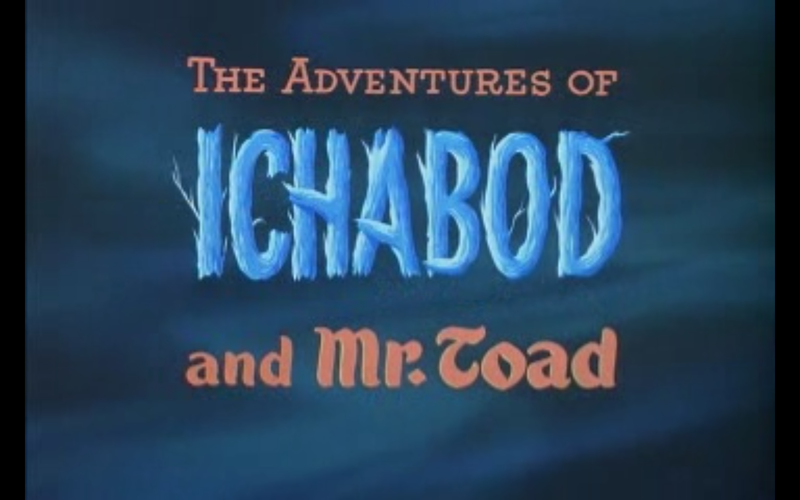 The adventures of ‘Ichabod and Mr. Toad’ was the last of the Disney compilation features so typical of the 1940s. Like ‘Fun and Fancy Free‘ (1947) it consists of only two stories, this time both drawn from literature. 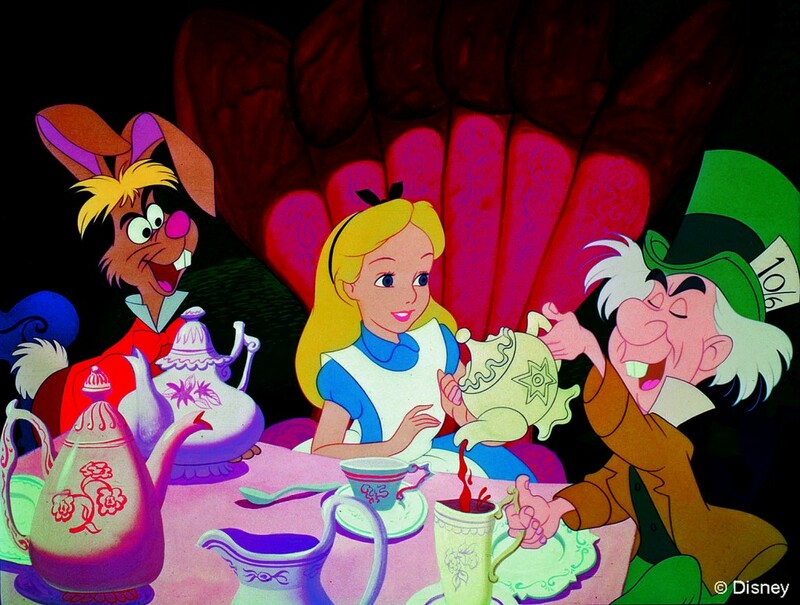 Both use a narrator, which gives the films a feeling of moving illustrations. Neither of the stories is particularly endearing: the story of Mr. Toad lacks the poetry of the original story, the story of Sleepy Hollow lacks speed. 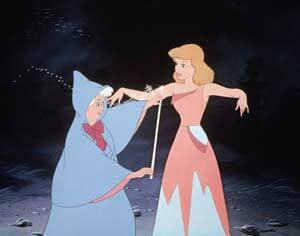 It would be a happy return to direct story telling (opposed to using voice overs) in ‘Cinderella‘, the next year. The six directing animators of this feature all belong to the group of ‘nine old men’.